The Lifestyle Hub: Be Enchanted! When Michelle O' Bombshell (impersonating US First Lady Michelle O'Bama) and Ate Gay (impersonating Former President Gloria Macapagal- Arroyo) performed a stand up act tackling similarities between the United States and the Philippines, people expected it to be super hilarious. There aren't much similarities to enumerate so there should be a huge room for jokes, I thought. The plot of the act is that, Michelle will name a place, a person, or anything that can be associated to the US and Ate Gay will counteract with what could be its equivalent to the Philippines. After saying the name of the place or the person, both comedians will ring a bell. The most rings will win. Michelle enumerated landmarks and leisure parks starting from "Golden Gate Bridge", where Ate Gay responded with "San Juanico Bridge", to the "Statue of Liberty", where Ate Gay named "Our Shrine of Our Lady of EDSA" as its equivalent. 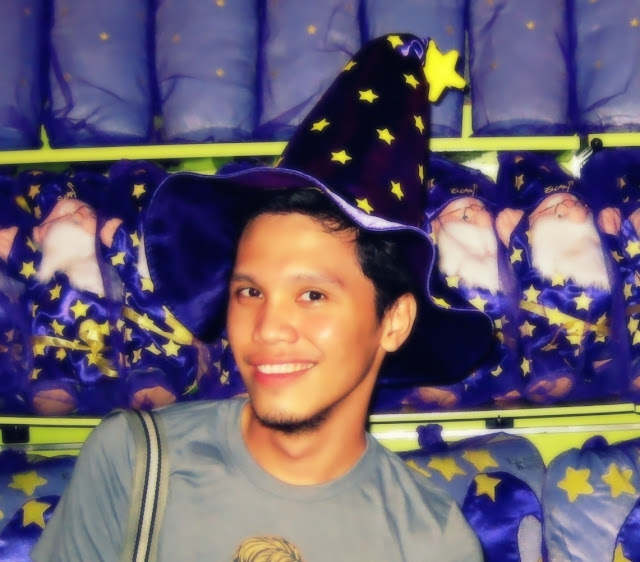 When Michelle said "Disneyland", Ate Gay reacted right away saying "Enchanted Kingdom". The funniest part came when Michelle, acting so agitated with Ate Gay's endless responses, name two leisure parks successively; "Seaworld" and "Ocean Park", which gave her two rings. 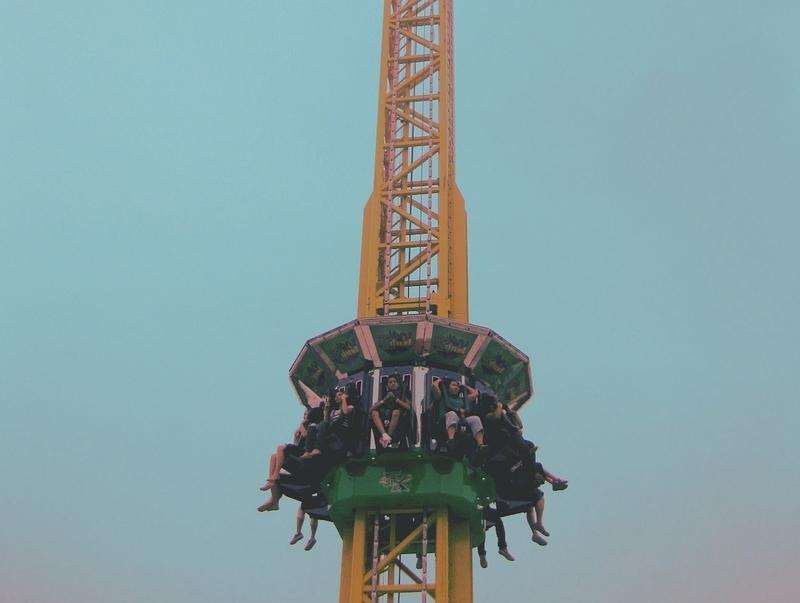 "Manila Ocean Park" is not open that time yet. 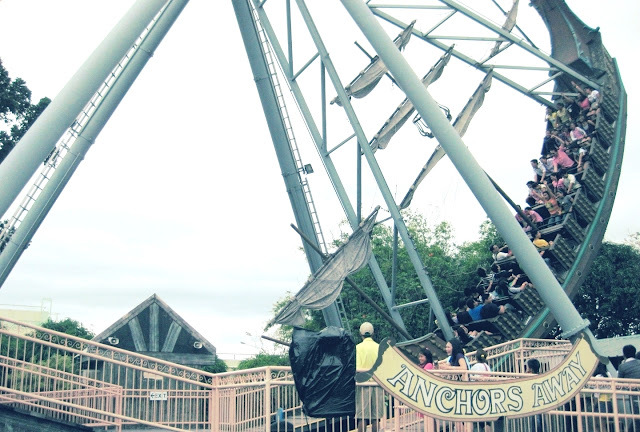 Ate Gay said, "Splash", rang the bell, then added "Island", and rang the bell for the second time. She had no choice but to split the supposed one name into two to keep up with the number of rings. This blog is not about the stand up act of course. 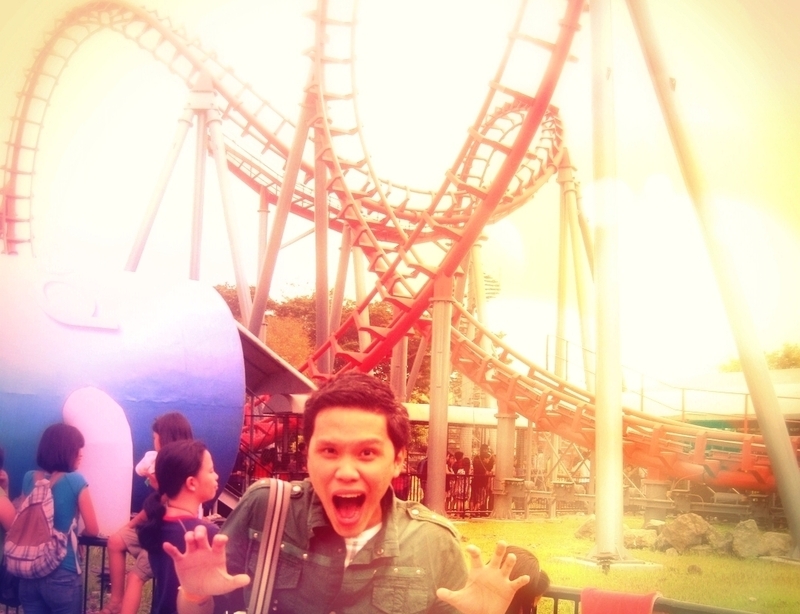 Rather, after my long cackle ended, I tried to realize; is Enchanted Kingdom really comparable to Disneyland? My very first Enchanted Kingdom experience was during Christmas of 2010. 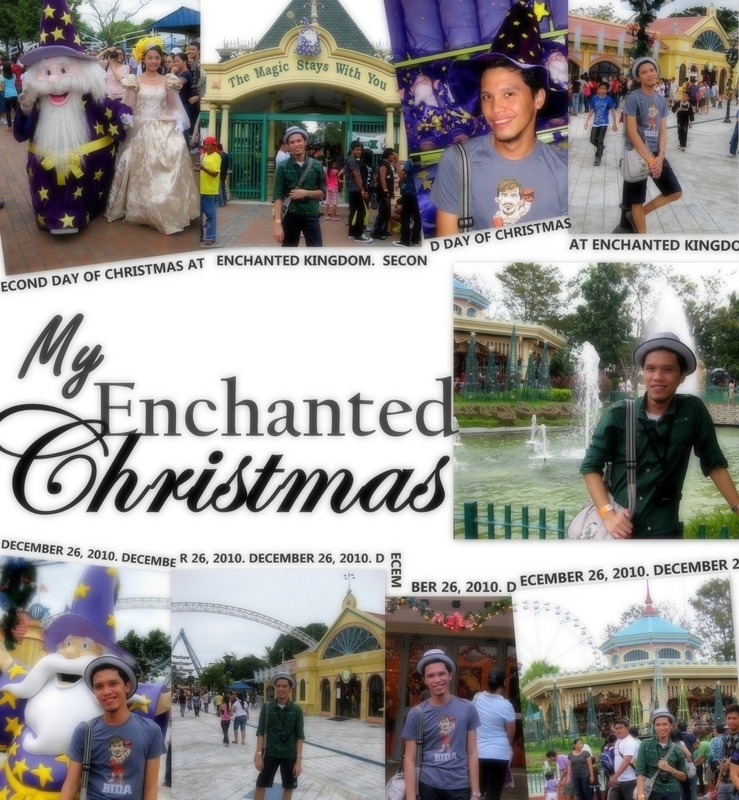 Being it my first Christmas alone in Manila, me and my officemate just decided to spend the holiday after Christmas, December 26, 2010 to be exact, in EK. When I got there, it met my expectations. 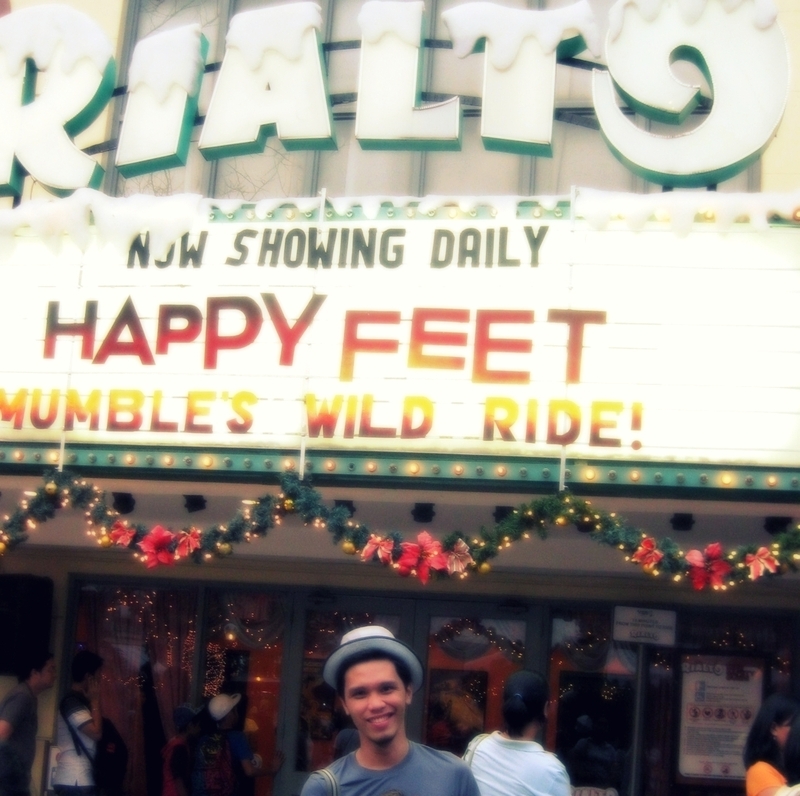 It gave me the sceneries and the feel brought about by its hype of its advertisement. It was a big park but crowded of course given that it was a holiday. We paid Php450 for an the "Unlimited Ride". 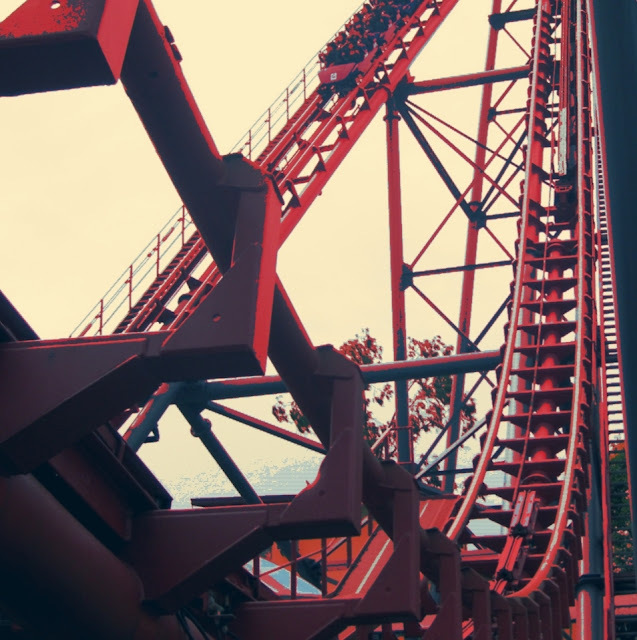 However, since there were so many guests, the lines to the rides were so long and we were only able to try 4 rides for the whole 8 hours that we were inside the park. I had a blast in Space Shuttle Max while I was quietly entertained by the Wheel of Fate, used to be the Philippines' largest Ferris Wheel until Mall of Asia built the MOA Eye. 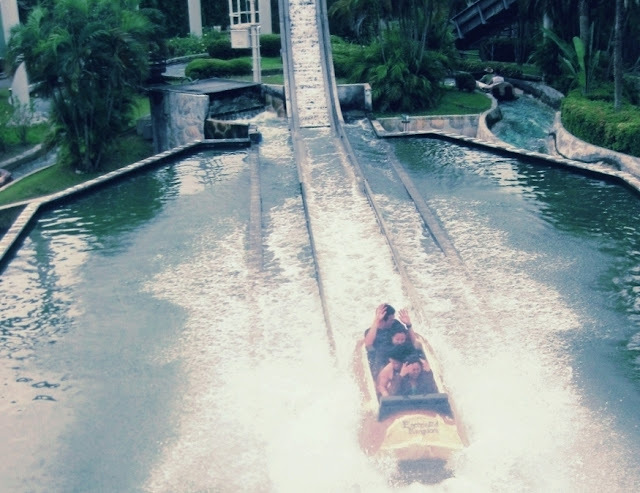 My favorite is Rio Grande Rapids though. 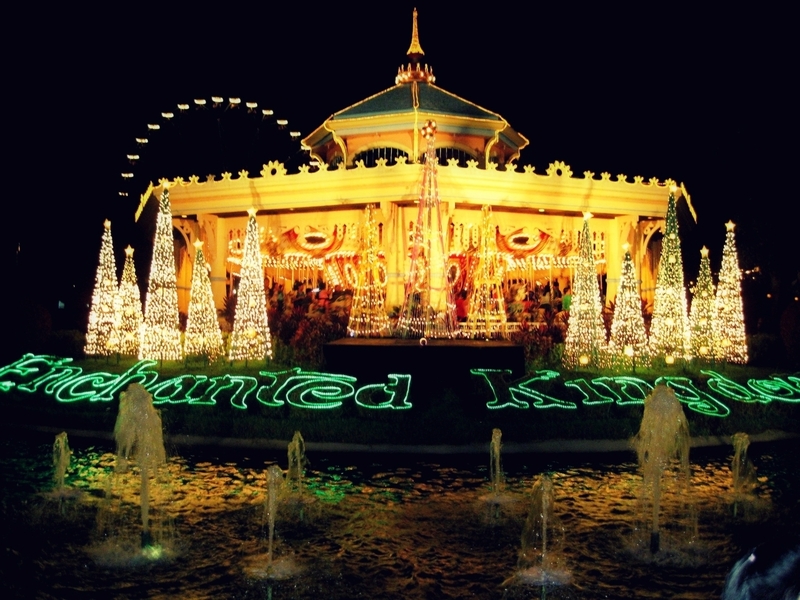 To be very technical about things, Enchanted Kingdom is built in 17 hectares of space. It's operated by a private company which was previously called the Amtrust Leisure Corporation but now called as simply, Enchanted Kingdom Inc. 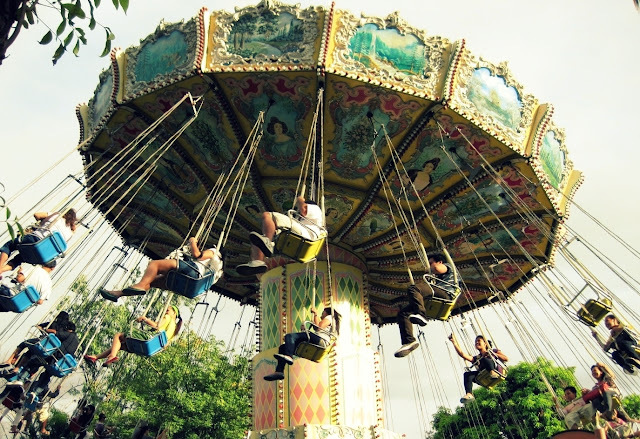 The park opened in July 28, 1995 under a 1.2 billion-peso investment in Santa Rosa, Laguna. Just like Disneyland, EK is sub-divided into 8 themed "mini-parks": Victoria Park (inspired by Queen Victoria with the Grand Carousel as it's main attraction), Portabello (where you can see the 4D Discovery Theater and EK's icon, the Flying Fiesta), the very kiddie Boulderville (housing the Boulderville Express, Bumbling Boulders, Petreefied House among others), the Midway Boardwalk which houses the new favorite ride EKstreme Tower Ride or Drop Tower, the Brooklyn Place (which is a reflection of Old America with structures like Rialto and the Broadway Houses), Spaceport where the Space Shuttle Max is located, Jungle Outpost and the EK Biki Waterworld, which is the first world-class inflatable waterpark in the Philippines consisting of six giant inflatable swimming pools with water slides and games. The answer to the question I posted at the first part of this blog entry is, no. Of course, Enchanted Kingdom will not be comparable to Disneyland. 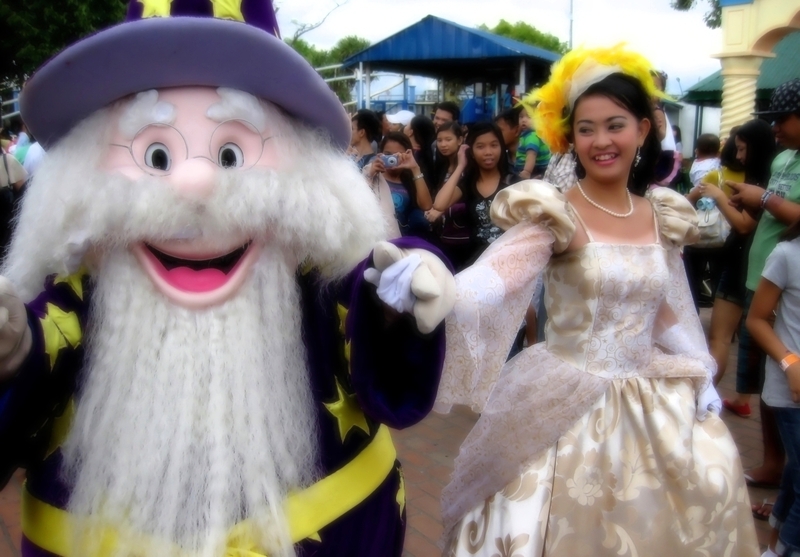 In terms of amount, there is a bigger investment in Disneyland and the world's most popular leisure park has already established it's charm during our childhood with the fictional characters we see and the songs we hear there. 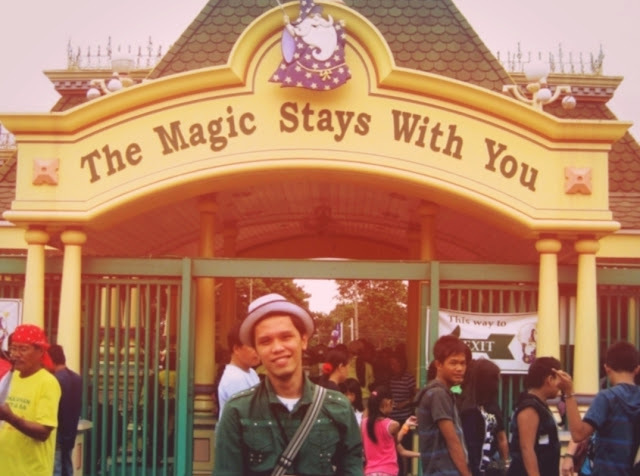 In terms of magic, EK might lag behind Disneyland but are you not proud to have something like this in the Philippines? 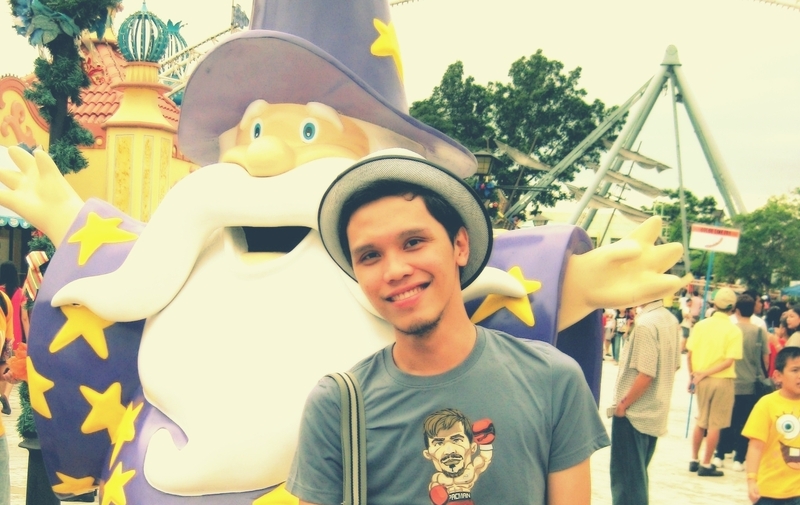 Like Ate Gay in the stand up act I shared awhile ago, when I will meet foreign tourists looking for a Disneyland in the Philippines, I would proudly say, "Enchanted Kingdom! ", and then ring a bell.